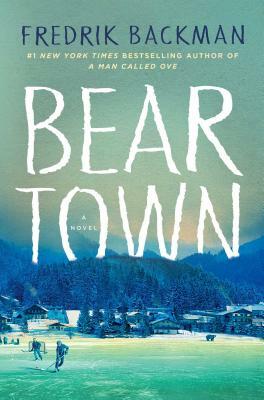 After community outrage, the North Carolina Rockville County School Board pulled Beartown by Fredrick Backman from a 10th grade English honors class required reading list, blaming the teacher’s lack of pre-approval and experience for the error. Fredrick Backman is best known for the popular book turned movie A Man Called Ove. 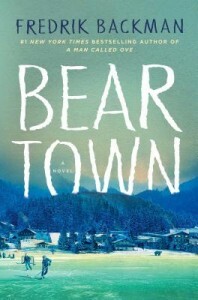 Beartown while less well known, has received glowing reviews from Wall Street Journal, and the New York Times. It centers around a junior hockey team in a small town that has a chance to win a national tournament, bringing fame and success to a town that has been slowly dying without jobs or industry. But as the pressure builds leading to the tournament, a violent event occurs that leaves no one in the town unscathed. While it wasn’t explicitly stated at the board meeting, it’s easy to hypothesize that it isn’t the hockey that parents are calling “vulgar” and “disturbing”. It isn’t uncommon for books that deal with sexual assault to be challenged and banned frequently. Such important works as Laurie Halse Anderson’s Speak, Stephen Chbosky’s Perks of Being a Wallflower, and Alice Sebold’s Lovely Bones are perennial favorites for bans and challenges. There was no mention of a school media advisory committee in the reporting of the board meeting, simply on the board voting about the book directly. Presumably, they were allowed to forgo policy because the teacher did as well. But it’s the students who suffer, having their right to read being obstructed by the community and the school board without their thoughts taken into account. If you want to help support CBLDF’s important First Amendment work with banned and challenged books, you can by visiting the Rewards Zone, making a donation, or becoming a member of CBLDF!